The Sunday which just fall on 9 January 2017 was not an ordinary one. Most of us plan to get lazy and enjoy our Sunday holiday! We surely did, but there was a big surprise given by a company which no one expected. We knew that this company would return back and start launching it’s mobiles once again, but we had no idea that it will release it in the 2nd week of January, 2017 only. Yes, we are talking about the return of the big and branded company Nokia. It recently gave us a sudden surprise on 9 January 2017, Sunday by launching it’s first Android Phone Nokia 6 which is developed by HMD Global. But, there’s a sad news that it’s only available in China as of now. There look no chances of it coming in any other country. So, If you think of importing it, then you will surely want to know the price and specifications. So, basically, this phone is mid range and not some high range Smartphone. It has 4 GB RAM and it runs on Qualcomm Snapdragon 430 CPU. It has internet storage of 64 GB and a slot of microSD, which is expandable up to 256 GB. It has complete 6000 series aluminum body. For the camera lovers, Nokia 6 offers rear camera of 16 MP, with f2.0 Phase detection auto focus and Dual Tone Flash and the Pixel size is 1 micron. The front camera is of 8 MP, with f/2.0 84 degree wide angle support, and the Pixel size is 1.12 Micron. It has got 3000 mAh non-removable battery. It also has dual speakers with Dolby Atmos. It has also got Fingerprint scanner and other basic sensors. It’s available in China at 1699 Yuan and you can get it through site JD.com. 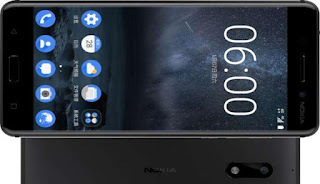 Since we all are excited about new phones of Nokia but the Nokia 6 smartphone is China Exclusive and it will not be available in any other countries. So we have to wait for few more months for Nokia smartphone. What do you think about this all? Please let us know about your view on the comment section below. Don't forget to share this post with your friend and also like us on Facebook.